ZERO-VET5 gathers the technology of computer control, digital scanning converter (DSC), broadband low noise voltage amplifier, digital logarithmic compression, digital dynamic filtering, frame correlation processing and edge enhancement to make the whole image more clearer with high resolution. Small and portable with built-in battery and waterproof probe, it’s easy to operate and get accurate diagnosis. 1.Image storage: machine is with TF card and USB port, the picture can be stored directly into the TF card, the storage can achieve unlimited expansion. 2.Image processing: up / down, left / right, black / white invert, real-time freeze. 3.The images stored in the TF memory card can be recalled frame by frame or continuously. 6.Large capacity pluggable mobile rechargeable lithium-ion battery with imported 18650 battery cells can work for 4-5 hours. â�� Power protection function can extend battery life. â�� One key to start the winter mode. In winter mode, the probe can be used directly without waiting for warm-up. â�� 15 levels images pre-processing make the image more delicate. Extend ports: Mini USB portã��TF card slot. 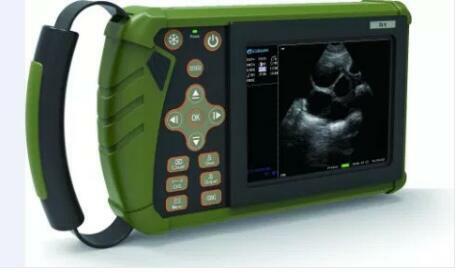 Looking for ZERO-VET5 Veterinary ultrasound machine?